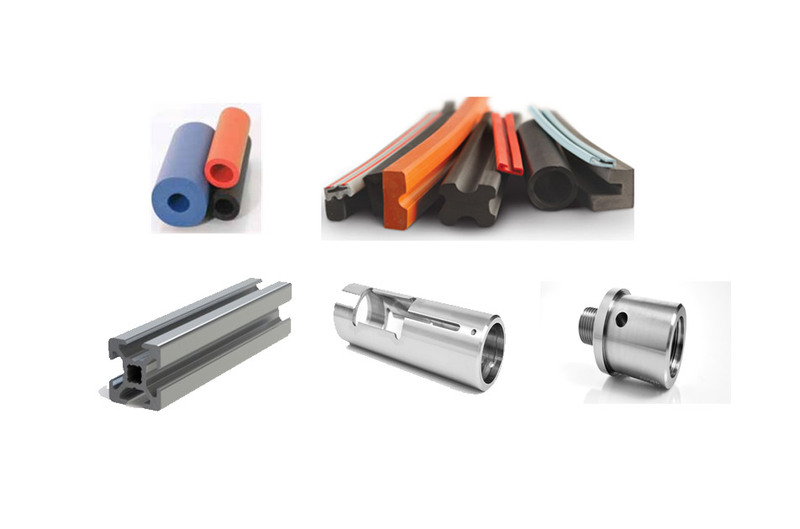 Extrusion is a process used to create objects of a fixed cross-sectional profile. A material is pushed through a die of the desired cross-section. The process begins by heating the stock material (for hot or warm extrusion). It is then loaded into the container in the press. A dummy block is placed behind it where the ram then presses on the material to push it out of the die. Afterward the extrusion is stretched in order to straighten it. If better properties are required then it may be heat treated or cold worked. The extrusion ratio is defined as the starting cross-sectional area divided by the cross-sectional area of the final extrusion. One of the main advantages of the extrusion process is that this ratio can be very large while still producing quality parts.